Every day, girls are surrounded by media telling them how to look, feel, and act. These influences can have serious consequences. In fact, 7 out 10 girls believe they are not good enough or don’t measure up in some way. It’s more important than ever to teach girls to be confident, positive young women. At Waukeela, our culture of growth embraces girls of all interests and backgrounds with open arms. Campers are taught to value their own strengths while also appreciating girls who are different from them. It’s this foundation that helps us create such a warm environment of growth, confidence, and fun every summer! Possibly one of the most important parts of a girl’s life is feeling accepted. As soon as campers set foot on the grounds of Waukeela, they are met with love and support. Our staff play a big role in helping campers feel at home during the summer. New campers are matched with a “Big Sister” to help them acclimate to the new summer experience at Waukeela. Big sisters offer support, encouragement, and friendship to new campers who might be feeling homesick or shy. By the end of the summer, new campers feel like an important and loved part of the Waukeela sisterhood! It’s just not a summer at Waukeela without new experiences! Whether in adventure activities or in fine arts, girls are encouraged to take on new challenges. These new challenges help girls realize the power of their own strengths. Many girls realize that the only thing standing in their way is themselves. With the help of our supportive staff and community, many girls find new interests during their time at Waukeela. At the end of the summer, we see the difference all these new experiences make. Girls return home with an extra pep in their step and a hunger for success. At Waukeela, girls are encouraged to be a part of something bigger than themselves. 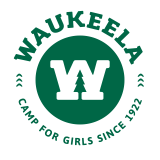 Community events help campers feel at home in the Waukeela Sisterhood. 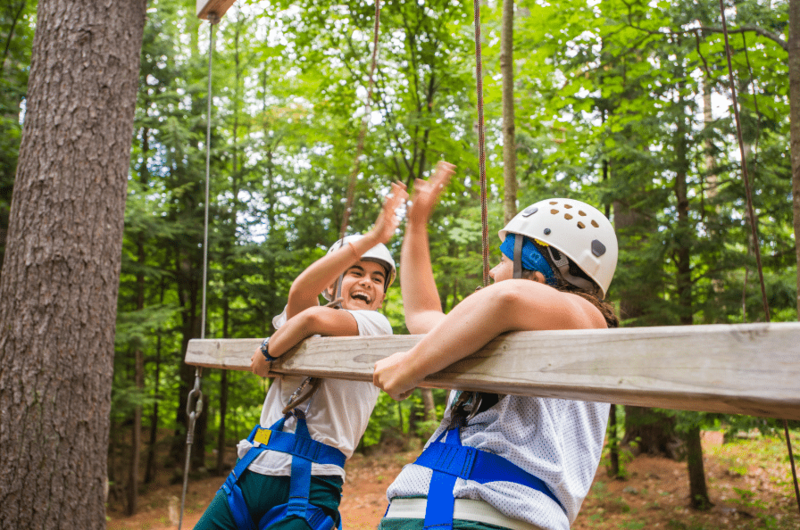 Girls can make connections with other campers outside of their cabins, all while having tons of fun with the whole camp community! When summer comes to a close, this value manifests in an important way. The friendships made at Waukeela help girls conquer challenges during the school year and be their best selves. Many campers stay in touch with each other and uphold the Waukeela Sisterhood even when they are thousands of miles away! As you as can see, building confident girls is an important part of the Waukeela experience. We understand that summer camp can play a significant role in your child’s growth and development as a young leader. That’s why we take extra care to make sure Waukeela Camp is a place where every girl feels loved, encouraged, and challenged!